Los Angeles Times reporter Paloma Esquivel worked for months interviewing binational couples in exile who are participants in our project to fight back against DOMA. 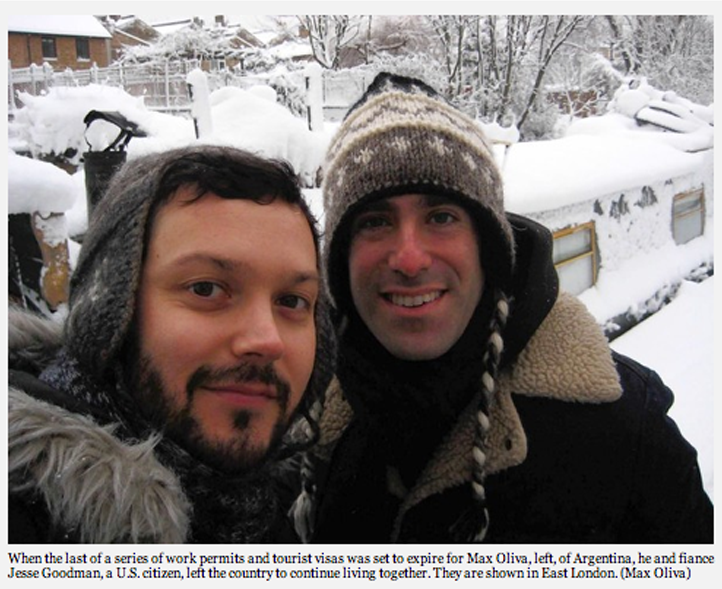 She has featured the stories of Jesse and Max in London and Linas and Jan in Stockholm. The full article is here. Read latest update on Jesse and Max here.